Apple's iPhone trade-in program, which recently debuted in the U.S., is now also available to customers at its retail stores in the U.K. The new program allows customers to bring in previous-generation iPhones to trade in for store credit toward the purchase of a newer model. Apple also touts the environmentally friendly aspect of the program, as it discourages users from simply throwing away their used electronics. Trade-in values for legacy iPhones, as well as other hardware Apple accepts, can be viewed on the company's official U.K. website. The company began accepting iPhone trade-ins at its U.S. retail stores in late August. The prices offered by Apple's "Reuse and Recycling" program are comparable to dedicated trade-in companies and local carriers. For those looking to upgrade to a new iPhone, it may be more convenient to use Apple's program, as it gives shoppers the ability to receive store credit for their legacy devices while browsing at an Apple Store. For example, Apple's online trade-in calculator powered by Dataserv reveals that an unlocked 16-gigabyte black iPhone 5 in perfect condition would net 220 pounds. 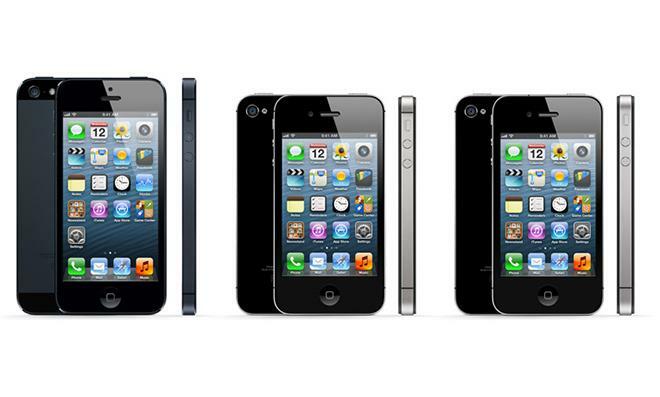 A similarly specced iPhone 4S has an advertised trade-in value of 150 pounds. But trade-in options may also be more limited for U.K. customers, as major U.S. based providers like Gazelle don't accept trades from international customers. U.S. customers can compare current trade-in rates in the AppleInsider Trade-in Guide.